This unique pendant is 100% handmade and crafted with love at Kacha Stones. A 7mm beautifully bright faceted blue chalcedony (natural & untreated) in sterling silver. 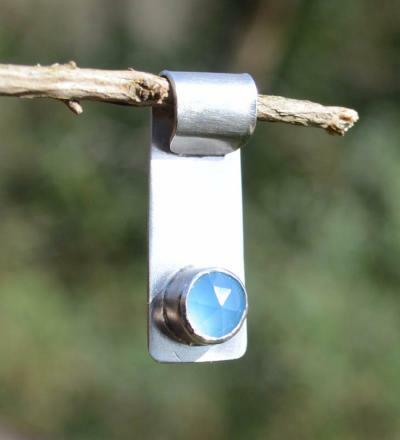 A wonderful throat chakra stone. "Actors might rub it against their lips and throat, while singers may drink a glass of water in which Chalcedony has soaked for an hour before going on stage. Wearing this crystal around the neck helps overcome stage fright and the fear of public speaking.” Florence Megemont, The Metaphysical Book of Gems and Crystals. 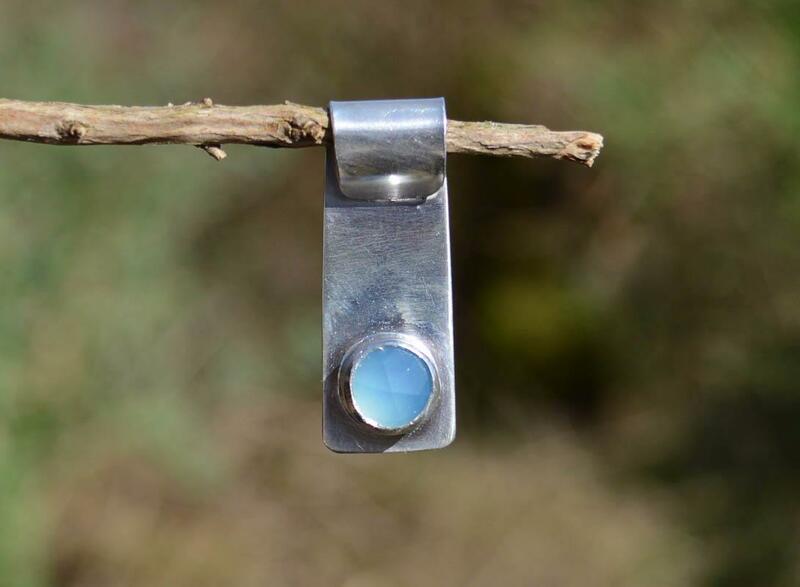 "Chalcedony was considered a sacred stone by the Native American Indians, using it to promote stability during their ceremonial activities. It is still in use today for meditations, and as a pathway for receiving successful thought transmissions.” Melody, Love is in the Earth.